Damaged packages cost businesses a significant amount of money and time as well as creating a negative customer experience. We understand that accidents will happen and some package damage is unfortunately inevitable, especially if you are sending out goods on 3rd party couriers. However, we know that damage can be significantly reduced by using the correct packaging methods, to ensure that you maximise your customer satisfaction and minimise financial losses. In this guide, we’ll examine the three stages of packaging and what you can do to minimise the chance of damage. Before the products are even packed you need to ensure that every effort is being made to keep products in pristine condition at your premises. Product storage: Ensure all products are stored securely in minimal risk areas where damage is preventable. Boxes and loose products should only be stacked to their recommended height and weight resistance and pallets should be stacked carefully. All goods should be stored out of walkways and forklift access routes, which will increase safety and reduce the risk of damage. Internal transportation: Dropped products and damages by internal personnel are generally avoidable. Procedural implementation and correct internal transport solutions are vital here. Packing Rooms: Packing areas/rooms should be kept free from hazards with clear areas for each specific packaging activity. 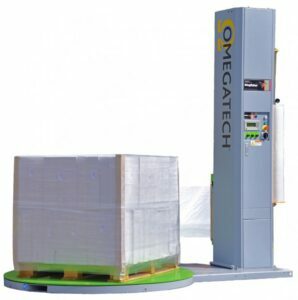 This prevents packing materials being wasted and allows the packer to operate in a safer environment, helping to reduce accidental damage to products during the packing process. Using the correct packaging is the number one way to reduce damaged packages. There are a myriad of factors at play here from the strength of the outer packaging to how the products are held in place. We’ll examine some of these below. Single wall boxes are designed for shipping light, non-fragile items that aren’t at risk of damage if the boxes become damaged – clothing, soft furnishings etc. High Grade or reinforced cardboard boxes should be used when you need to protect anything that is delicate. This has a higher strength than standard cardboard boxes and is less likely to be damaged in transport. If you are packing electronics or delicate items then we can create specific packaging for your needs using Propak® Secure Packaging. This is a high strength cardboard structure with puncture resistant film to hold items in place and cushions the products inside. Check out the videos below to see how it works. If you ship palletised goods then you should make sure that the tensile strength of the pallet film is suitable for the products you are shipping. Having had many years’ experience in this field, we know that there are many standard films in the market, selling at cheap prices. However, we have also seen the consequences of these films not being able to hold the loads securely and it has often resulted in a large number of damaged goods. Therefore, we always recommend using a quality, performance grade pallet wrapping film to ensure the integrity of your goods and your brand is upheld. Voidfill systems are essential to protect your product from bumps and knocks. 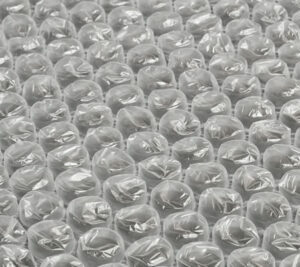 There is a wide variety of protective packaging options. 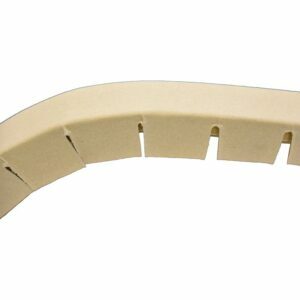 The most effective are protective air cushions, paper pads, protective foam products and loosefill. Protective packaging should be used so the product is held tightly in place. 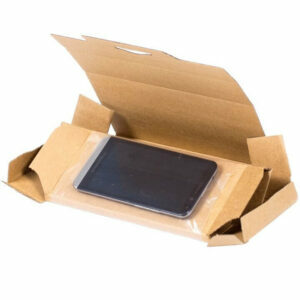 This surrounds the product in a protective layer whilst keeping the contents of your parcels secure. If the product is still able to move in the box once it has been sealed, it increases the chance of damage during transit. Edge protection allows you to create an extra layer of protection on the corners of boxes, pallets or around the sides of packed items– essentially reinforcing them. This helps secure your packages but also allows you to protect vulnerable edges of products from wear and any potential damage if strapping is used. 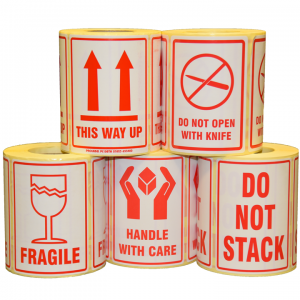 Cheap packaging tape simply doesn’t have the right level of adhesive or the strength to secure packages safely and securely. This creates a vast range of problems from products being easily tampered with to the packages bursting in transit. 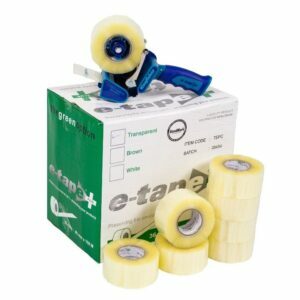 Using professional products like E-Tape and specially designed packaging tapes means that you can prevent seals being broken on your parcels and the products are secure. Our extensive range of pre-printed labels makes it very easy to convey important messages on your packages. Marking your goods as fragile, using boxes with “this way up” emblazoned on the sides and making it as clear as possible for your couriers is essential to minimise transportation issues. Labels with prints such as “Two Man Lift” or with the specific weight of the product printed on them allows people to know if it is safe to lift the package without having to actually try it, reducing the risk of goods being dropped or mishandled. Therefore, printed boxes and labels are the best way to reduce damage here. Delivery is the area that is unfortunately out of our control as we can’t ensure that the individual people in logistics will take care of the products in the ways you would expect. The obvious solution is to make sure that you use a reputable logistics company with a good record of accomplishment for prompt and effective delivery. At Kingfisher Packaging, we are happy to assess your products and packaging requirements in a free packaging consultancy session. We can provide materials, innovative systems and machinery to help streamline your process whilst ensuring a cost-effective packaging solution that minimises damage to your valuable goods. We look forward to working with you and feel free to get in touch.